Although none of the F1 Constructors knew what version of the intended 2016 ultra soft rubber compound they were testing for Pirelli, which were simply awash in purple! Nonetheless, the two B-I-G' BULLZ, nee Red Bull drivers results seemed indicative of their just concluded languid season - As the primary focus has been upon what engine, if any Deeter Majestik' would be able to coax from the current Power Unit manufacturers. Since fourth overall in the almighty Constructors championship is surely disappointing, yet with the estranged le Reggies' overstated horsepower deficiencies, its impressive they didn't slip any further down the order! And Red Bull teased us with clever pictures 'O Tag-Huer technicians clambering at the rear end of a Red Bull chassis, whilst thou Art eagerly awaited the news; YAWN!As indeedy, thee Renault sourced PU's will be Tag Heuer badged next year with assistance from some Ilmor Chaps..
Force India announced the signing of 19yr old Mexican Alfonso Celis as its Development Driver on November 19th, as the current ART Grand Prix GP3 driver having just finished his second season in 12th place overall would be making his F1 debut at the post-season Abu Dhabi test. Yet not surprisingly, Celis was some 2.7-seconds adrift of Force India regular Thy "Incredible Hulkster," nee Nico Hulkenberg, but I'd surmise the test for Celis was more to do with just learning the intracies of a current F1 chassis, not to mention keeping it out of the Armco! With Alfonso sandwiched between Sauber's Adderly Fong and Manor Marussia's duo of Rio Haryanto & Jordan King. With lead driver Romain Grosjean having departed for Haas F1 and Pastor Maldonado's reputation as a perpetual crasher, just having cleverly? Conjured up the nicknames of Pastor Crashalot or Malwaddo; ZOINKS! Both reminding me of an ex-Formula 1 driver known as DeCrasheris; YOUCH! 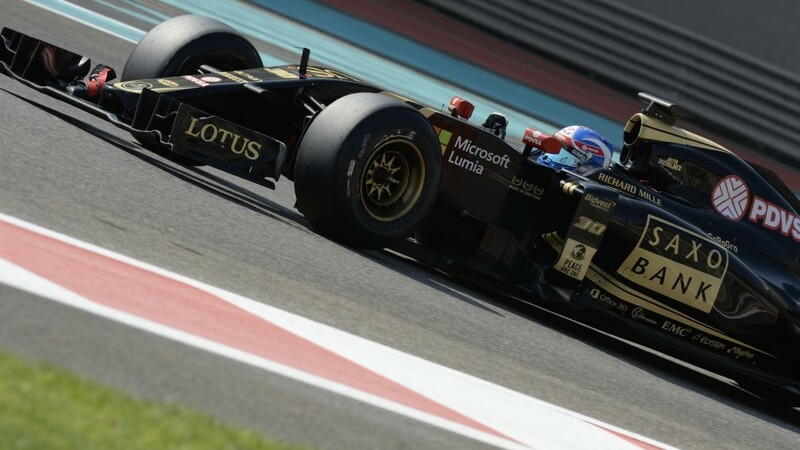 Lotus elected to simply run Jolyon Palmer, who'll make his F1 debut next March Down Under as Grosjean's replacement. As "Joly" did a KURR-RACKING! Job by finishing fourth overall. The finishing positions of the Pirelli test symbiotically resemble the four Red Bull drivers hierarchical positions, i.e. ; Ricciardo-Verstappen; Kvyat-Sainz Jr. Although Sainz actually out qualified Verstappen 10-9, Max easily finished ahead points-wise: 49-18 with Max-Attack' finishing three places ahead in the standings in twelfth. Meanwhile Rooskie' Kvyat finished one place ahead, in seventh with 95-points vs. Ricciardo being pipped by 3-points while finishing eighth. And although Sainz Jr. reportedly suffered from multiple reliability issues, with both of the 'lil Bulls, nee Red Bulls 'lil Seester Toro Rosso Chauffeurs suffering 'Mega high-speed crashes! Obviously A-L-L four of these drivers suffered from the indignity of Renault's inferior horsepower!